The approved design of the MBB-2 provides a splash-proof, dust-proof, secure fixing for the Hochiki CDX and ESP range of detectors and their associated Bases. 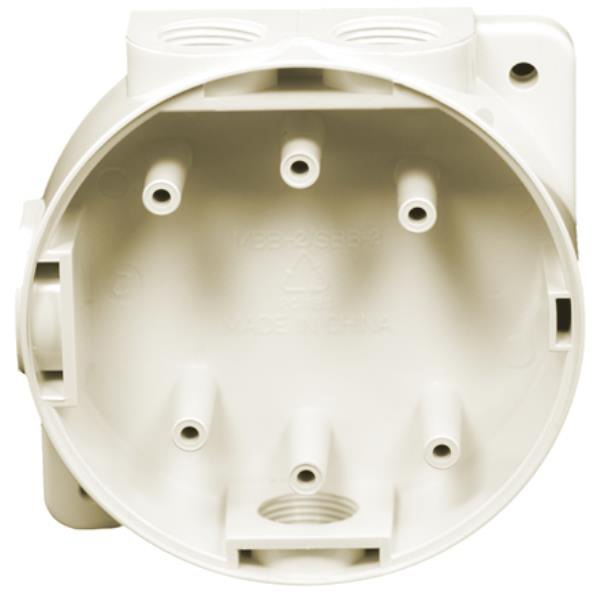 It can be installed on a variety of different fixing surfaces and because it has been manufactured to match the colour of Hochiki's range of white products, it provides an aesthetically pleasing solution where surface fixed devices are required. 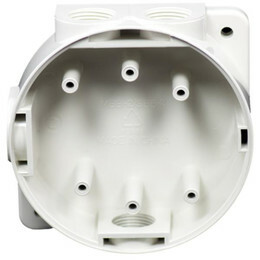 The housing supports four 20mm glanded entries, for zone, or loop cabling access. It is also supplied with base fixing screws and two cable glands specifically designed to provide protection against water and dust ingress. 4 cable entry holes suitable for cable glands (2 glands supplied). Colour matched to ivory or white detector range. Approved Sensor and Base range. Provides moisture and dust resistant fixing. Approved by LR and GL. Non-marine use version available (SBB-2).